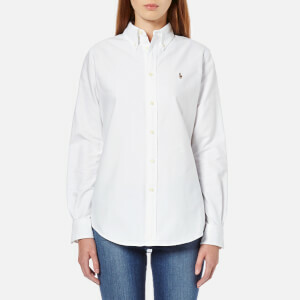 White shirt from Emporio Armani in a stretch cotton poplin blend. 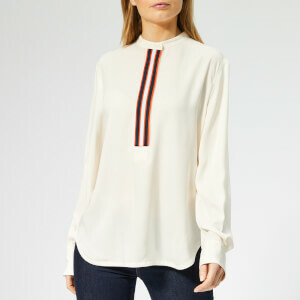 The blouse showcases a pointed collar, a full button front placket and a tonal chest patch pocket with the brand's signature eagle logo. 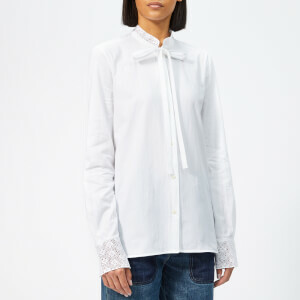 Features long sleeves with buttoned cuffs. A gathered waist and peplum style hem accentuate the design. Tonal stitching throughout.